Margins richly populated with iris and reed, trees carrying foliage that delicately hangs over a mirrored surface. Look carefully and you’ll see the telltale signs of feeding carp, tiny bubbles punctuating the surface. A slow walk along the tree lined margins reveals water rocking gently in response to the movement of a carp below. A massive catfish tail unfurls majestically from below and smashes down hard, scattering fry in an explosion of spray. Welcome to Beausoleil. There's something about the place that just oozes big fish and gets you hooked from the first take. I can't wait to get back. Over 50 years old, Beausoleil is picture perfect. 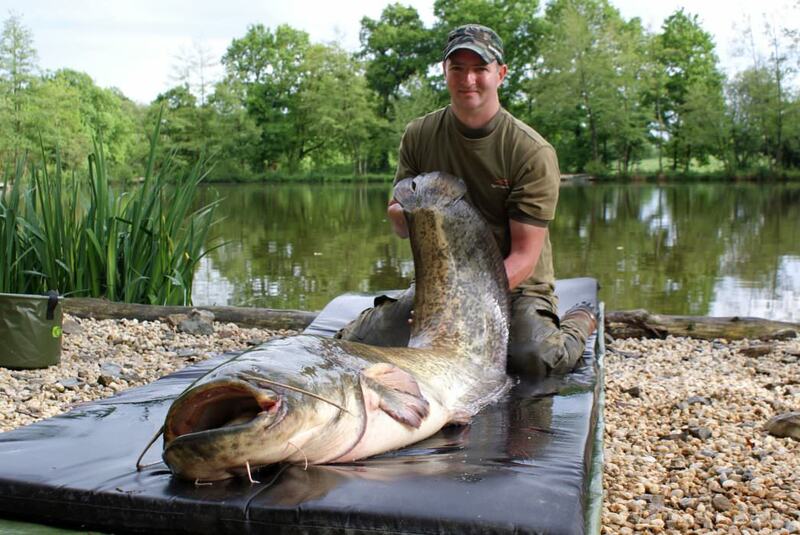 At four acres and holding both specimen carp to 40lbs and 100lbs+ catfish, it is a fascinating lake to fish. 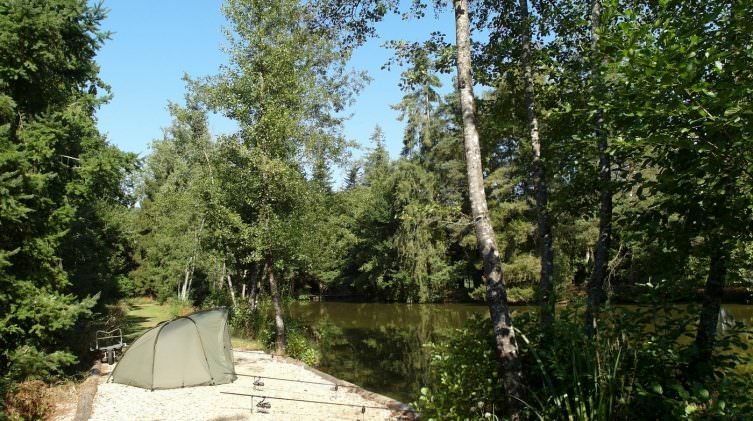 Brimming with features, including an island, it provides experienced anglers with loads to go at while not being too daunting for the less experienced angler. 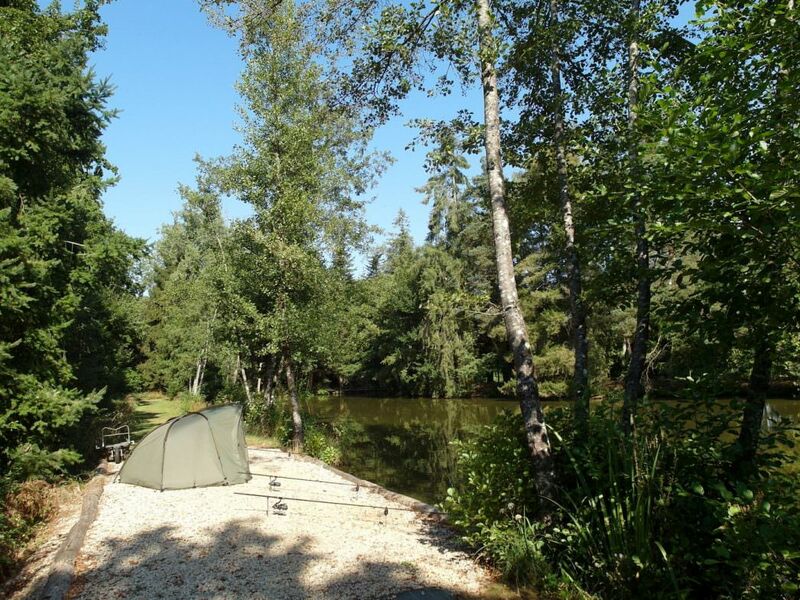 Beausoleil is offered on an exclusive basis so you don’t have to share the lake or the accommodation with anyone else. As we do not live on site, your privacy is guaranteed. 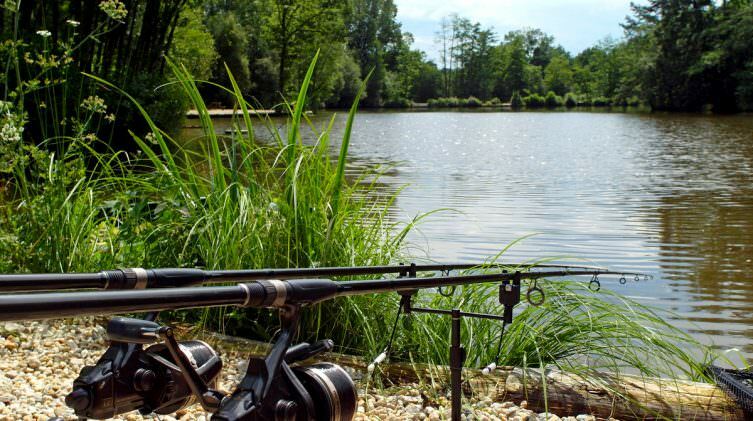 At four acres, the lake will comfortably accommodate up to four anglers, offering the opportunity to move around and change swims if you are looking for a change of scenery. 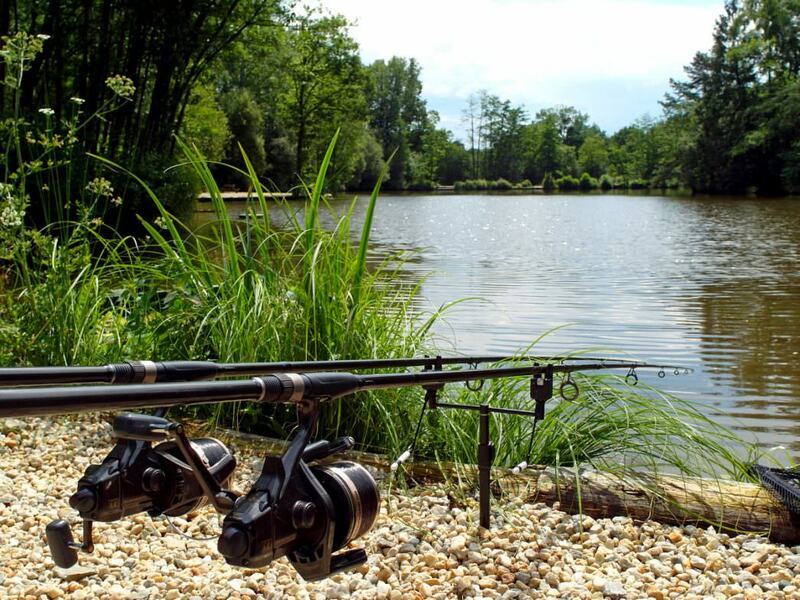 The lake is both stream fed and spring fed, keeping oxygen levels high and catch rates consistent. The lake bed consists of a mixture of silt, clay and gravel. Within each swim you will find loads of interesting features to target such as gravel bars, marginal shelves, and silt and clay pockets. There is very little in the way of weed growth to worry about which makes rig presentation easier. Casting distances are relatively short with 70 yards maximum required. All the swims are very large. 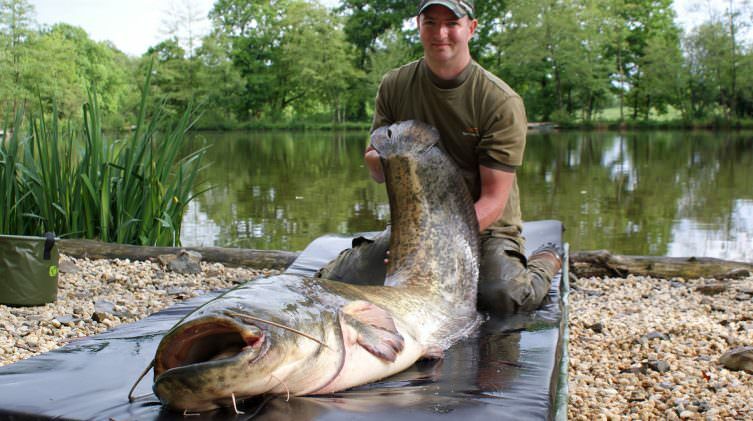 Even with a two man bivvy + cook tent, you will still have loads of room for playing, weighing and photographing fish. The swims are log lined and gravelled so they remain mud free year round. Standard bivvy pegs are all that is required to nail everything down securely. During the summer season, Beausoleil is a stalker’s paradise. There are hundreds of meters of tree lined margins to explore and a large island which is easily accessed via a foot bridge. A number of specimens in excess of 30lbs have been banked, the largest being 38lbs. 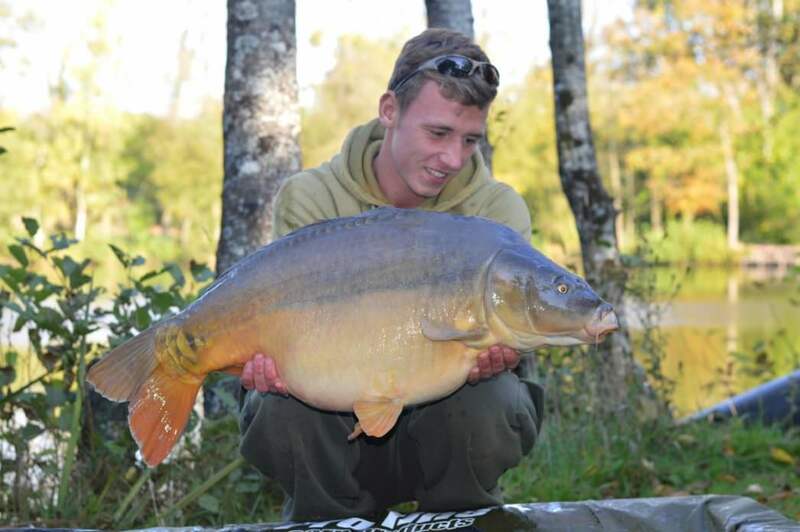 The best tactic is simply to creep onto the island with a rod and a landing net and very carefully lower a simple bottom bait rig in front of a big carp sitting inches below the surface.